Steve J Massiah (born 21 June 1979) is a Guyana-born American cricketer. A right-handed batsman and off spin bowler, he has played for the United States national cricket team since 2000 and is currently the captain of the side. 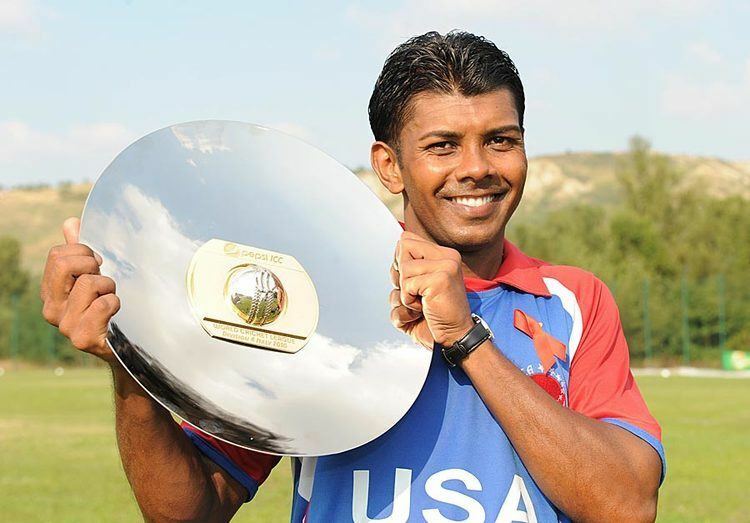 He played two One Day Internationals (ODIs) for the USA in the 2004 ICC Champions Trophy. Born in Georgetown in 1979, Steve Massiah played for the Guyana Under-19s team twelve times between 1996 and 1998 before making his debut for the USA against a combined Minor Counties side on a tour of England in 2000. He made his List A debut later in the year, playing in the Red Stripe Bowl against Jamaica, Canada, Barbados and Trinidad & Tobago. He did not play for the national side again until 2004 when he played in the ICC 6 Nations Challenge in the United Arab Emirates. He made his first-class debut the same year when he played ICC Intercontinental Cup matches against Canada and Bermuda. In between the two matches he played in the Americas Championship in Bermuda. He played his two ODIs the same year, playing in the ICC Champions Trophy against New Zealand and Australia. He next represented the USA in the 2005 ICC Trophy in Ireland. After warm-up matches against the Northern Cricket Union President's XI and Namibia he played six matches in the tournament proper. He scored 108 not out against Uganda, his highest List A score. He captained the USA for the first time the next year in the ICC Americas Championship tournament in Ontario. He most recently represented his adopted country in Division Five of the World Cricket League in Jersey in 2008 where he again captained the side. He was arrested in December 2011 in connection with an alleged $50 million mortgage fraud. In 2012 Massiah was selected for the 2012 ICC World Cricket League Division Four which takes place from 3 to 10 September 2012 in Malaysia.